For over a decade we’ve been working with our friends at Sun Bum, helping them merchandise their unique brand through various product offerings and marketing efforts. Check out the original Sonny character we developed for them, and the more recent Baby Bum characters. Sun Bum’s “‘crazy talented’ friends have been memorialized in a series of limited-edition 5” vinyl collectibles, featuring Julian Wilson, Filipe Toledo, Zak Noyle, Malia Manuel, Barron Mamiya, Bede Durbidge, Kyuss King and Rasmus King.” Read more on Hypebeast here. 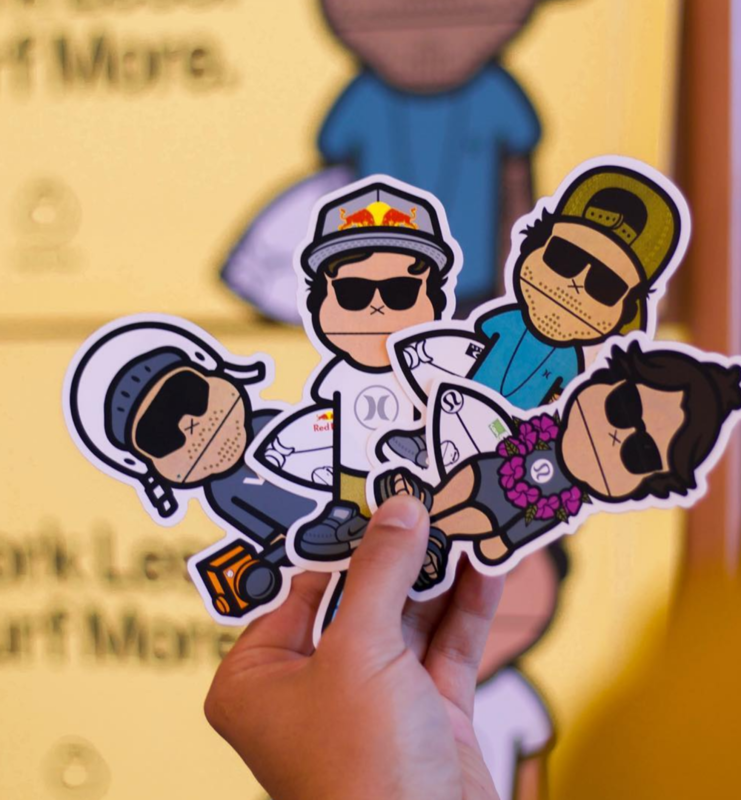 We designed and developed these characters with the creative team at Sun Bum to bring their Ambassadors teams to life. We kept the Sun Bum brand identity consistent throughout these figures by using their distinct visual language. We think they came out pretty rad.